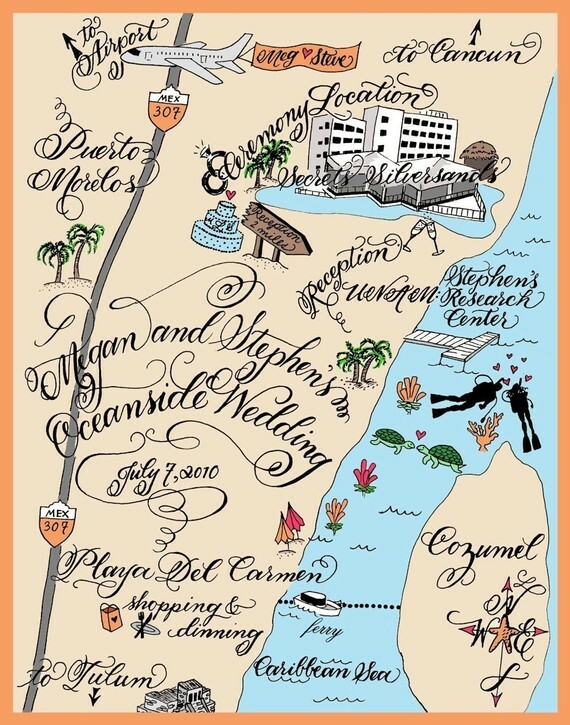 In today’s digital age, there’s nothing like a touch of handwriting to turn the mundane into something unique and personal. 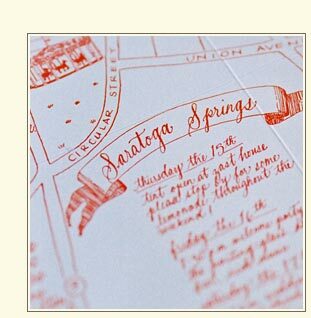 For those who have the means, handwritten calligraphy makes eye candy out of everything, from envelopes to place cards. 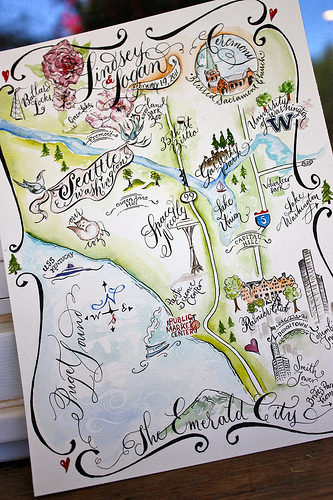 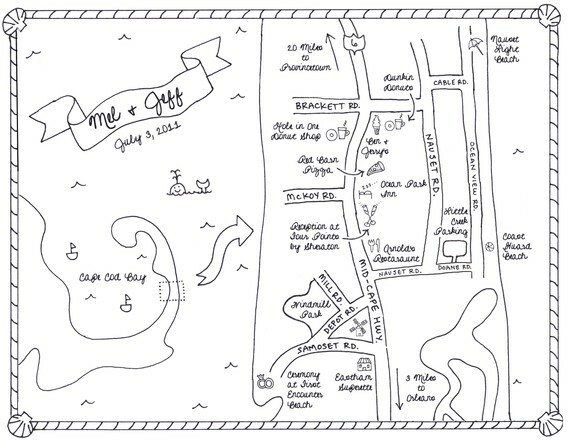 One special way to employ your calligrapher is to have him/her draw a map for those hard-to-find locations or destination weddings. 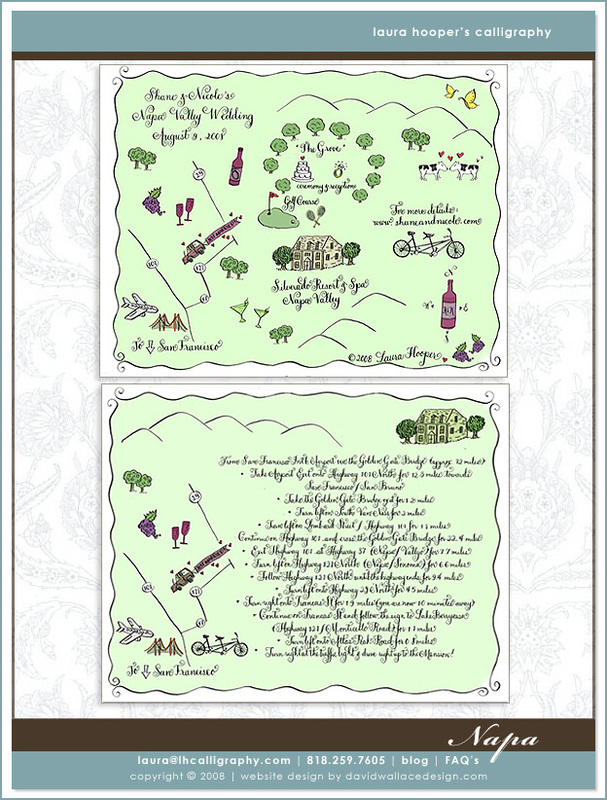 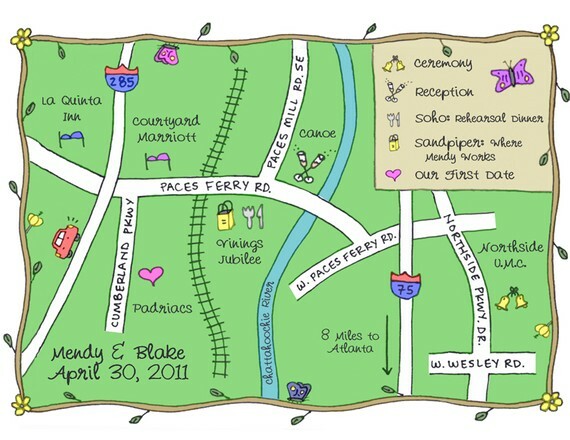 Maps can be used as save-the-date cards, included in the invitation suite, or inserted in the welcome baskets at your guests’ hotel. 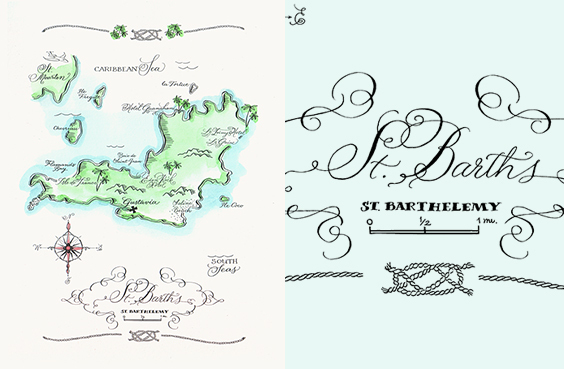 Here are some beautiful samples from some very talented calligraphic artists. 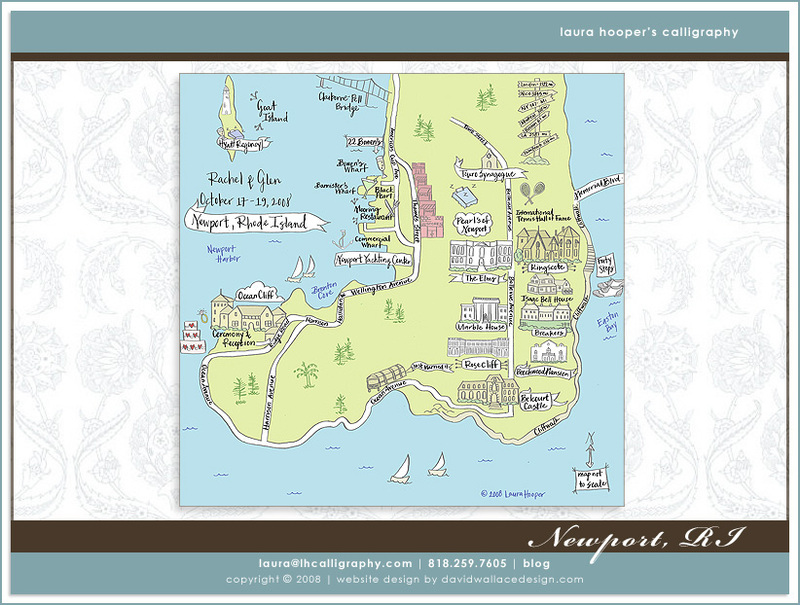 If you have an artistic flair you could even try your hand at designing your own map! 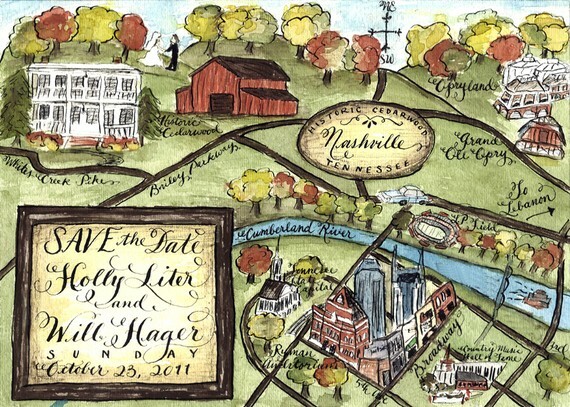 These lovely maps are by Nancy Howell Calligraphy. 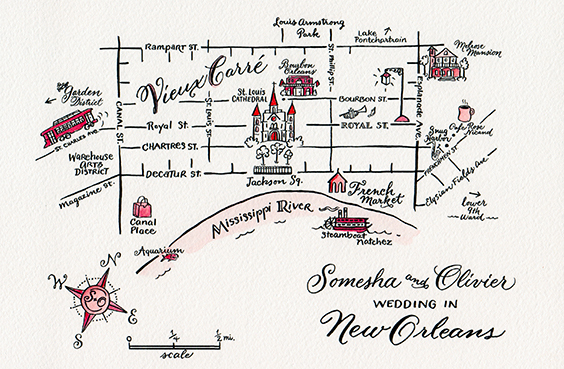 She usually hand-watercolors each map after they are printed for a special one-of-a-kind look. 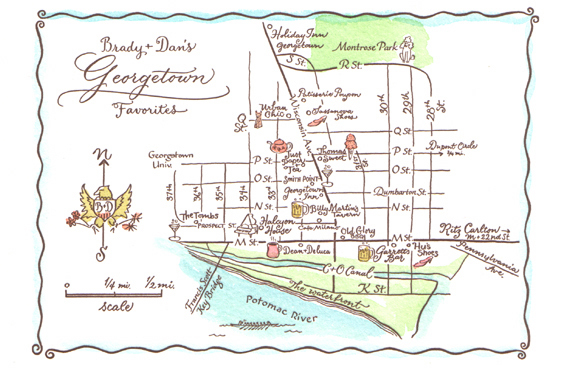 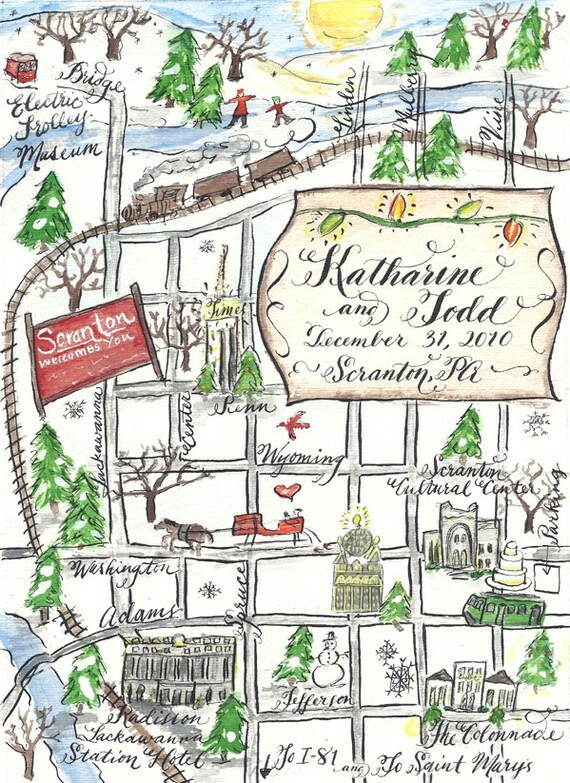 A bargain at only $49.99 for color and $34.99 for black-and-white, Etsy artist kessyud offering custom-made, hand-drawn maps! 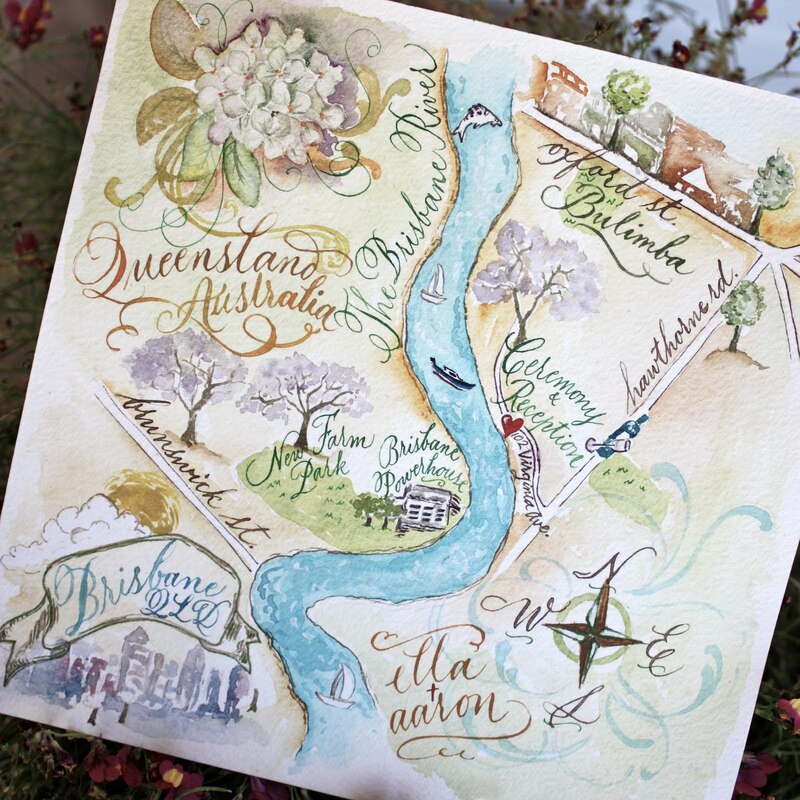 Absolutely stunning watercolor maps by Elizabeth Danae calligraphy studio! 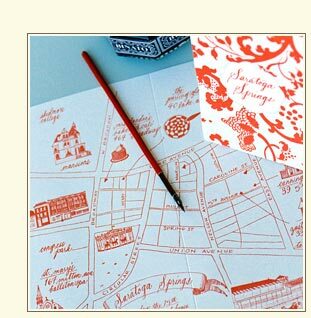 She blogs at I Dream of Letters and offers her talents on Etsy.